Meet Kuma. He is a big sesame boy with a big heart. He lost his family and ended up at the local county shelter where he was never claimed. Based on his size he was well loved by someone. But his time was up at the shelter and rescue took him in. Kuma weighs in at a hefty 46 pounds, but this is not that uncommon for some neutered males. He is on a diet including excercise to help him out though. He LOVES going for walks and is good on a leash. He was recently health checked and the only issue he has is some mild seasonal allergies. He only needs over the counter meds during the allergy season. Other then that he has a clean bill of health. Kuma is an eager learner and wants to please. He still has some puppy manners that we are working on. He does not like his tail pulled so we do not recommend him for a home with children under the age of 10 yrs. Continued work on nail trimming is needed but he is making a lot of progress. He responds quickly to commands and is food motivated so he is a quick learner. Kuma is leash trained, crate trained, housebroken, nuetered, microchipped, heartworm checked and up to date on shots. He does need to be the only dog in the household and would be okay in a home with a cat if the cat has been exposed to dogs. If the cat runs he will chase the cat in play. Kuma is a joy to be around and loves to "talk" in the morning to you. 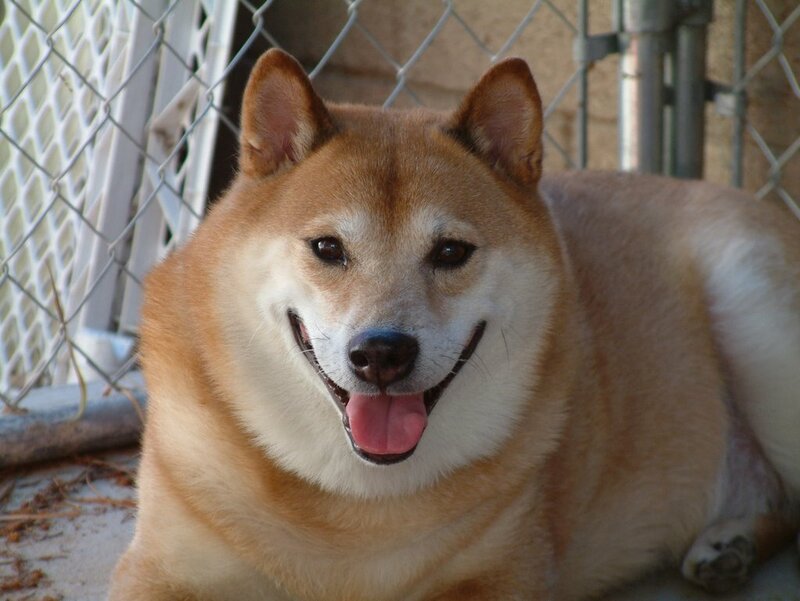 If you are looking for a shiba to "hang out" with you in the home, then Kuma is for you.